A recent article in the New York Times by Eduardo Porter on immigration enforcement is a great example of what's wrong with so much of the immigration coverage in the establishment press, particularly the Times. Jessica Vaughn and I dedicated a whole piece in National Review to Porter's incorrect use of enforcement statistics, but the problems with Porter's article do not end there. His whole analysis of the economics of immigration is extremely one-sided. Porter argues that growers will not raise wages or attract any native-born people to farm labor, and therefore farmers must have continual access to immigrant workers — legal or illegal. Porter talks to no one with a different point of view, even if only to dismiss their arguments. Consider how Porter deals with a well known 30-year-old study that showed the Mariel boatlift to Miami in 1980 from Cuba did not reduce the wages of natives in the city. In 2016, Harvard economist George Borjas re-evaluated the evidence and showed that wages did in fact decline significantly in the city for the least educated natives, whose skills were most comparable to the Marielitos'. The Borjas paper provoked a flurry of responses and rejoinders. A fair reading of the exchange over the impact of the boatlift is that there is now evidence that the boatlift did reduce wages at the bottom of the labor market; however, the sample size of government data in Miami for the time period under study is small, so significant debate remains over this issue. But how does Porter summarize this debate? He acknowledges Borjas' work, but then writes, "Mr. Card's analysis has emerged pretty much unscathed" from the debate. No fair-minded person who has followed this debate would characterize it this way. In fact, Borjas's finding of a negative wage impact is the only Mariel research (of which I am aware) that has actually been published in an academic journal since the debate was rekindled. More broadly, the National Academies of Sciences, Engineering, and Medicine published a huge immigration report authored by many of the top experts in the field last year. It concluded that while the economy-wide wage effects of immigration may be modest, "a high degree of consensus exists that specific groups are more vulnerable than others to inflows of new immigrants." Porter never mentions any of this. Porter also cites the industry's impossible-to-verify claim that each farm worker sustains two to three jobs outside the fields. Every industry makes similar claims when seeking a subsidy — and make no mistake, bringing in more farm labor is a subsidy. Data from the 2012 to 2016 Current Population Survey (CPS) collected by the Census Bureau shows that the poverty rate for people in households headed by non-citizen farm workers is three times the rate for the nation as a whole. The same data also shows that two-thirds of all households headed by immigrant farm workers use at least one major welfare program. These usage rates are particularly striking when one considers that most of the non-citizen farm workers in the survey are either illegal immigrants or guestworkers, neither of which are supposed to use such programs. The appendix of this study explains how and why this happens. But the bottom line is that once immigrants are here — and especially once they have U.S.-born children — it is almost impossible to stop them from using such programs given how little farm work pays. Farmers are fine with this situation because they get to bring in the cheap workers they want, while taxpayers feed, house, and provide medical care to many of their workers and their families. What's not to like from the farmers' point of view? Unfortunately, the costs for society are very real. Immigration is one of the main reasons that California now has the highest poverty rate in the country after adjusting for cost of living. If Porter had just talked to someone with a different point of view he might have learned why there is so much concern about bringing in more unskilled workers. Bringing in large numbers of unskilled workers, even as guestworkers, is almost certainly not the best solution to a supposed labor shortage in agriculture. For one thing, calling them "guestworkers" or "temporary workers" is misleading. In the past, such programs that allow immigrants from poor countries to work in a rich country on a temporary basis have almost always resulted in large-scale permanent settlement over time, even though politicians and industry claimed it would not happen. Whether it is Turks in Germany, North Africans in France, Pakistanis in Great Britain, or our old Bracero program with Mexico, a large share of supposedly temporary workers eventually ended up staying. If we are to bring in workers, it would be better to do so on a permanent basis so we can have an honest debate about what this will mean for our society. UC-Davis agricultural economist Philip Martin has observed that in other countries where low-skill labor is less readily available, farmers adopt labor-saving devices and techniques and remain economically viable even in labor-intensive crops like raisins. Increasing productivity, instead of bringing in more low-wage workers, is the better solution to labor shortages on American farms. Finally, even if one imagines that the most dire predictions from the farm lobby are true — that the United States must substantially reduce its production of fresh fruits and vegetables without a steady flow of foreign labor — it still raises the question of how Americans benefit from a domestic industry that sustains itself on poverty-level wages for immigrants. After all, in a free trade context, when a domestic industry is losing out to global competition, Americans are supposed to benefit by redirecting their labor and capital toward industries with a comparative advantage. In an immigration context, however, immigration advocates embrace what we might call "situational mercantilism", and suddenly it becomes imperative to save the domestic industry in its current form. Whether one is trying to understand enforcement statistics or labor economics, immigration is a complicated issue. Reporters should at least make an attempt to provide different points of view and allow readers to make up their own minds. 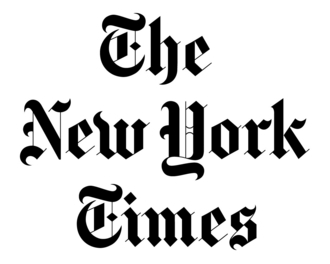 Unfortunately, all too often the New York Times fails to provide balance when it comes to immigration. This is a serious disservice to its readers.